Summer is almost over, and you know what that means – it’s only a couple of months until the snow starts to fall. If you’ve been riding around on questionable rubber, now’s the time to consider a set of all-season or all-weather tires. Finding the best all season car tires, or all weather tires for your car or minivan is more simple than you thought! If you’re the person who changes to winter tires to prepare for deep snow, you probably already know what you need to do. But if you’ve been riding around on worn out tires through the spring and summer, you’ll need to take a look at the best all season tires for snow and know about your options for the best all weather tires as well. The best all season car tires have a tread design that are the swiss army knife of the tire world – these tires can do it all and are useful in many situations. On pavement, this type of tire provides good traction during dry conditions, rain and light snow. The best all season tires for snow are going to provide traction, grip and light snow capability. For those who live in locations with extremely harsh winters – such as Minnesota, Michigan, or New England– an all-weather tire is a better choice. This is a new type of tire designed for literally, all weather. Tire manufacturers like Nokian, Goodyear and Toyo have excelled in making all weather tires that are uncompromised when it comes to tackling the winter season. The tread design for some of the best all weather tires is made for superior traction in severe cold-climate conditions such as heavy snow and ice. Compared to your typical all season tires, all weather models are certainly better for those who drive during a tougher winter season. You can tell if a tire is an all-weather model, because it will have a Three-Peak Mountain Snowflake symbol molded into the sidewall. Whether you live in a location with severe winter driving conditions or someplace that gets a light dusting of snow, there’s a winter-ready tire for your car or minivan. It might now wear a three-peak mountain snowflake, the Falken Sincera SN250 A/S is an all-season tire that can hold its own during the winter months. As one of the best all season tires for snow, it features strategically-placed tread blocks ensure it stays firmly planted during winter weather. Plus, its backed by a 80,000/75,000 limited tread life warranty. The Yokohama Avid Ascend is one of the best all season car tires for many reasons. This tire features innovative design traits for superb winter performance. For example, it has built-in 3D adaptive sipes, along with orange oil compound to help it remain pliable in the wet and cold. A limited tread life warranty of up to 85,000 miles is offered. If you’re looking for an all season performance tire, the Nexen N’Fera AU7 offers ultra-high performance ability with all season confidence. Made for exceptional braking, accelerating and cornering, these tires will also keep you safe. The multiple sipe tread design improves grip on wet and slippery roads, so no need to worry during the winter months! Backed by a limited tread life warranty of up to 50,000 miles, this tire also comes with road hazard protection and roadside assistance. When the going gets really tough, you need a set of all-weather tires, marked with a three-peak mountain snowflake symbol. This symbol, also known as the “Alpine” symbol, meaning that the tire has been certified for serve snow and ice conditions. Undergoing a test for medium-packed snow, these tires have earned their place in the winter driving world. They meet the requirements of the Tire and Rubber Association for performance and standards when it comes to winter weather capability. Made by one of the best, premium name brands, the Goodyear Assurance WeatherReady provides traction in the most extreme winter conditions. Patented tread technology, along with a 60,000-mile limited tread life warranty, make this one of the best all weather tires money can buy. Tread design traits such as snow claws and slush grooves make the Toyo Celsius one of the best tires for heavy snow and ice. The variable sipe density design it what really makes this Toyo tire unique. The inside of the tread has a higher sipe density for better traction in snow and ice while the outside tread has a lower sipe density for wet traction and dry roads. It’s clear that these all weather tires are made to take on any weather with confidence. A 60,000-mile limited tread life warranty is also included. Made in Finland, Nokian tires have engineered all weather tires specifically designed for North American driving. Not much can stop the Nokian WRG4 with snow claws which increase side-to-side grip in light or deep snow. With its official 3-Peak Mountain Snowflake and a unique design for all weather performance, this tire has it all. Thistire offers precise handling on dry, wet or snowy roads. With a special compound made for long lasting wear and fuel efficiency, you just can’t go wrong. The grooves on this tire help disperse water and reduce hydroplaning, so you can be confident in heavy rain as well. Backed by a 60,000-mile limited tread life warranty, this all-weather tire will keep you safe during the winter for miles to come! When preparing for the winter months it’s important to know which tires suit your needs best. All season tires are made to handle light snow, but all weather tires are designed for increased grip in snowy or icy conditions. 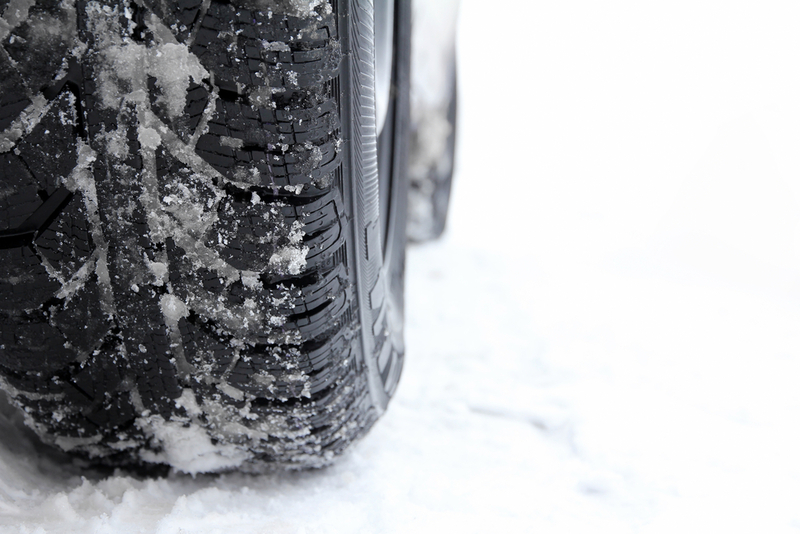 If you experience harsh winter weather, you’ll probably want to consider an all weather tire. Marked with the 3-Peak Mountain Snowflake, these tires can take on severe conditions and will have you driving confidently in snow and ice. If you’re driving mainly in dry and wet (rainy) weather, with some snow, an all season tire will do the job for you. Able to take on various conditions, all season tires have the capability to get you through spring, summer, fall and winter. So get ready for the sleet and snow with a set of new all-season or all-weather tires. Tire Agent offers the selections mentioned above as well as many other affordable brands for your vehicle.